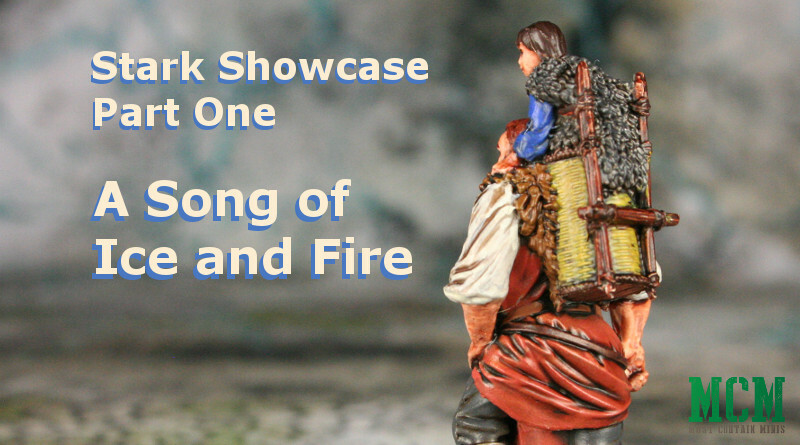 In this post, we take a look at some Stark Miniatures as painted by Ullr’s Table for a Song of Ice and Fire. Specifically, we take a look at Robb and Bran Stark as well as Grey Wind, Summer and Hodor. Born Stark is the oldest child between Lady Catelyn and Lord Eddard Stark of Winterfell. He becomes King of the North and has a Dire Wolf named Grey Wind. 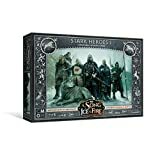 In A Song of Ice and Fire, Robb is a masterful tactician with a trait that helps him flank and outmaneuver enemies. 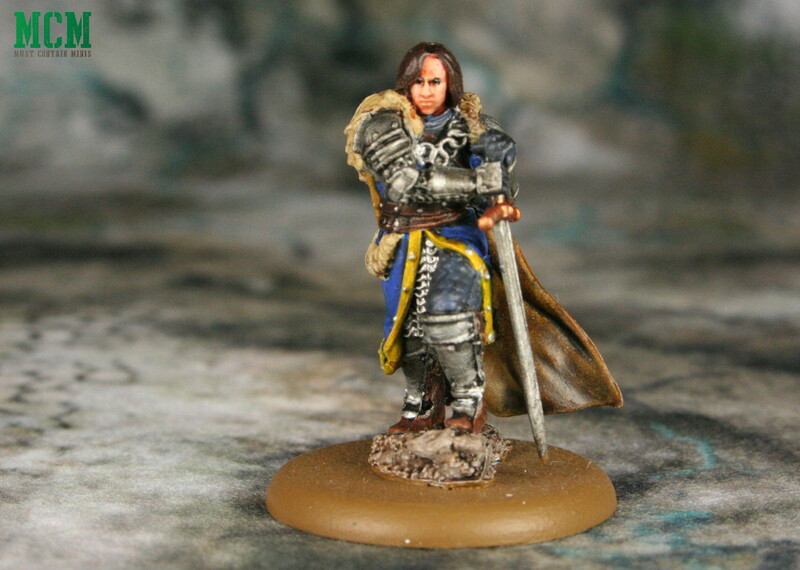 Robb Stark the miniature from the core box set. There is also an alternative pose of Robb. Another look of Robb Stark. 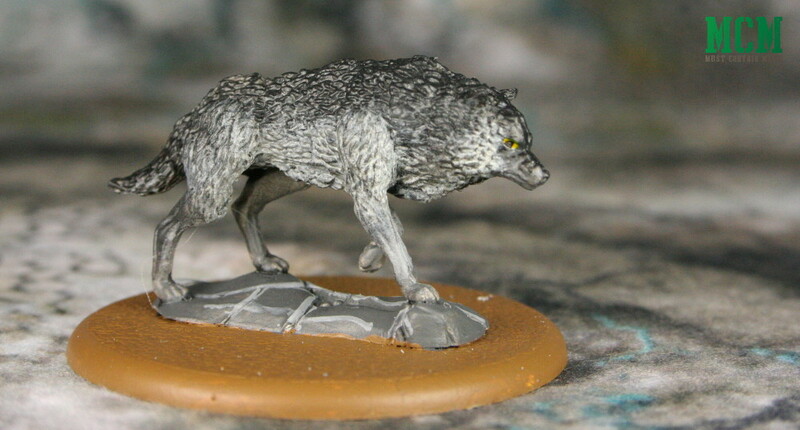 Officially, this is the miniature of Grey Wind. His colours are closer to Summer’s but that is okay. 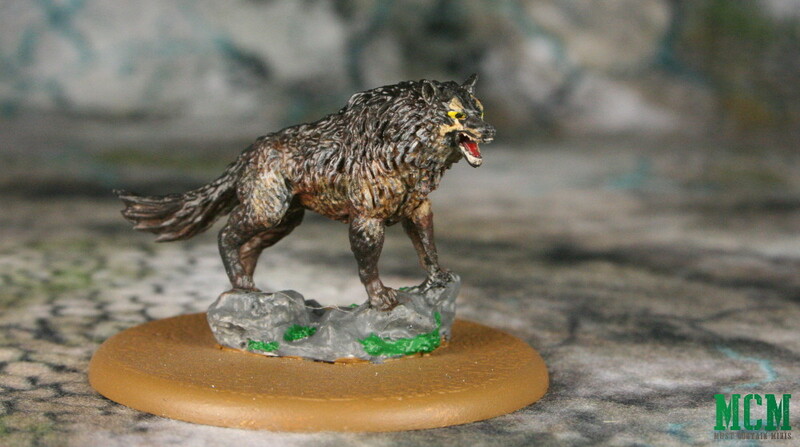 I am sure you can use the model as either wolf as long as your opponent agrees. The other side of Grey Wind. 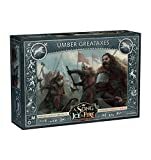 I faced one of these in the last game of A Song of Ice and Fire that I played. He is fast! Bran is one of Robb Stark’s younger brothers. 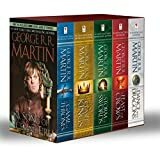 The Lannisters pushed him out a window early on in the Game of Throne’s story. This act, rendered the young boy disabled. 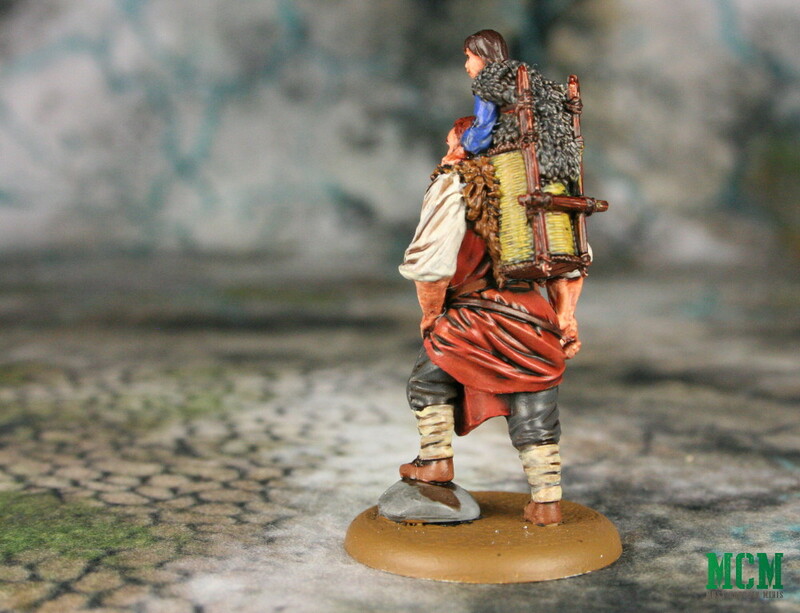 To help Bran, Maester Luwin designed a carrying basket to strap to Hodor (the Stark Family’s friendly giant). For the rest of the story, Hodor becomes Bran’s method of transportation. Sadly, Hodor isn’t the smartest person working for the Stark Family, but he does prove useful and strong. Hodor! Hodor! He doesn’t say much, but he certainly likes saying his name. 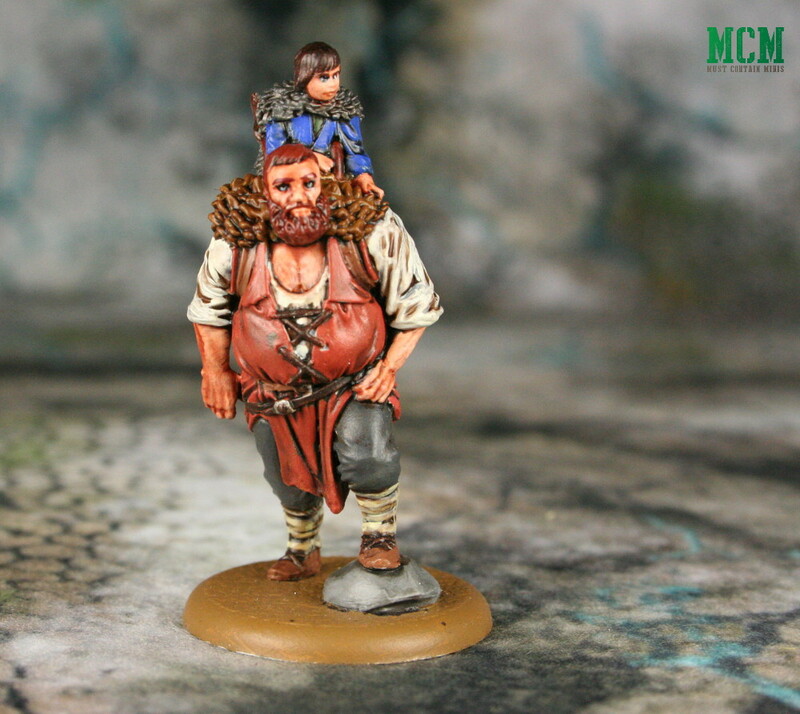 Hodor proves a very useful mount for Bran to get around. Bran’s own legs do not work due to injuries suffered from a Lannister pushing him out of a castle window. Like all the other Starks, Bran also raised a Dire Wolf. He named his Summer. 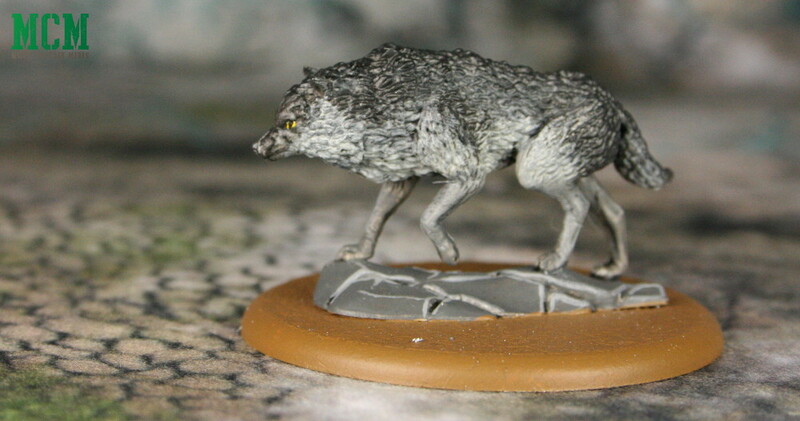 The official miniature listed as Summer by CMON is below, but he is painted as Grey Wind. 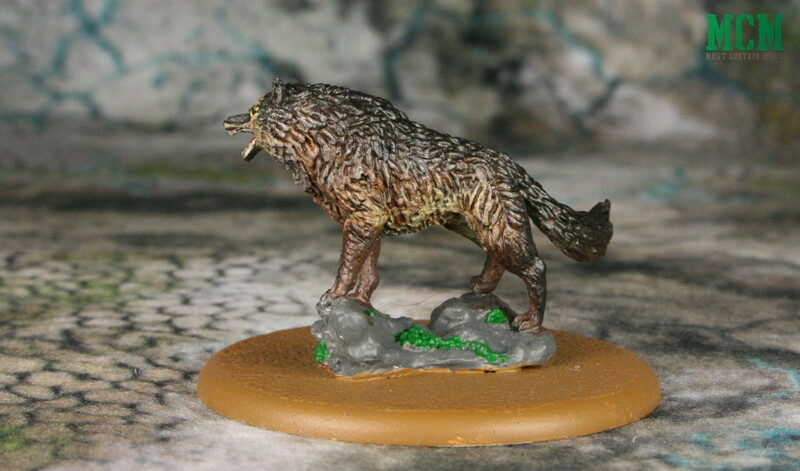 Again, I see no issue with reversing the two Wolves or just going with them painted in non-traditional colours. This is Summer painted as Grey Wind. 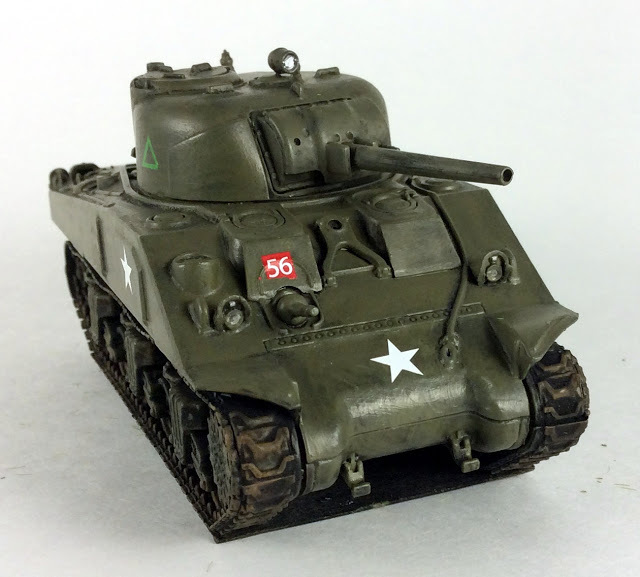 A very nice looking miniature. 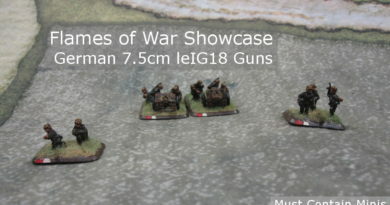 Hopefully you enjoyed this quick Showcase of Stark Miniatures. 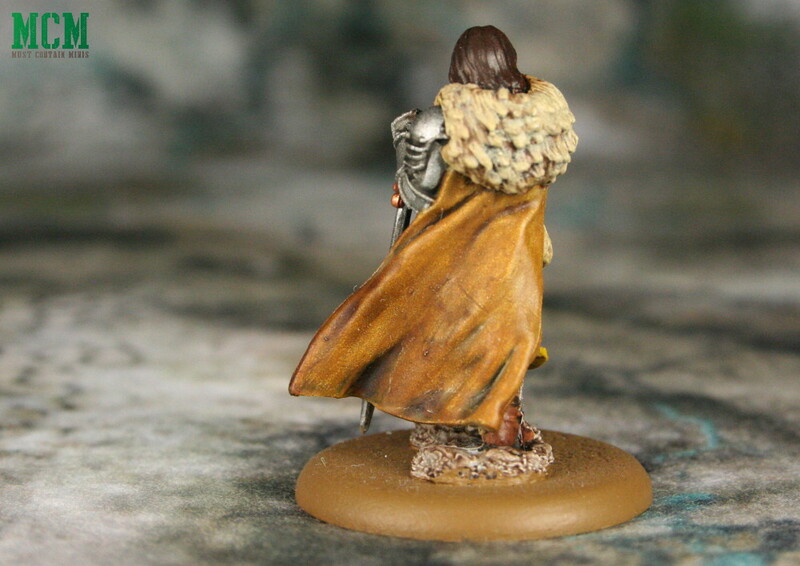 In this part one of the Stark Family Characters, we looked at Robb, Bran, Hodor, Summer and Grey Wind as painted by Ullr’s Table (and photographed by me). 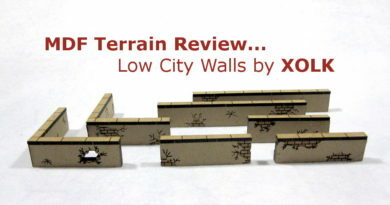 ← Firelock Games Releases Terrain!! !